Congratulations to Ceri Victory-Rowe, who joins CT’s governance team as Senior Consultant. Click to the next page to read the news release. 2018: Another great year for CT’s Recruitment Team! Season’s Greetings! 2018 has been another great year for the Recruitment Team. Open the link enclosed to see the key stats for permanent, executive, non-executive and interim recruitment. Jon Slade, Director at Campbell Tickell, reflects on key pointers from CT’s recent risk & assurance masterclasses. CT Seasonal Charity Donations & E-Greetings Card 2018! Each year, the Campbell Tickell team nominate several charities to give to in place of sending Christmas cards by post. This year we’re pleased to be able to support the brilliant work of The Food Chain, Brixton Soup Kitchen and Women for Women International. Read more about them below. Join Campbell Tickell Partner, Sue Harvey and Director, Jon Slade, along with great guest speakers, for a Risk & Assurance Masterclass this November. Each year Campbell Tickell nominate two charity partners, one UK-focused and one with an international focus, to support over the course of a year. This year we have nominated to support Shelter From The Storm and Help Refugees. Read more about them. Campbell Tickell is pleased to have been able to support the merger of Real World Trust and Two Saints. Read the press statement from Two Saints. Today, 14th June 2018, we remember all those who lost their lives in Grenfell Tower fire. Congratulations to Sue Harvey, our very own risk, regulation and finance whizz – now promoted to Partner! Campbell Tickell are TAROE Trust supporters. Read the first edition of their newsletter. In January 2018, Campbell Tickell Partner, Greg Campbell, in association with the European Federation for Living, examined the wider implications of the Grenfell fire for housing providers, considering such areas as asset management, development, funding, regulation and governance. Campbell Tickell are delighted to have joined Future of London as members and are looking forward to working with and supporting them in the forthcoming year. We have a long association with Future of London, having been sponsors of their Leaders Programmes, and are now delighted to become members. Season’s Greetings and a Happy New Year from CT! Season’s Greetings and Happy New Year from all at Campbell Tickell! View Campbell Tickell’s Annual Seasonal Card. Instead of posting our card, CT are donating to four charities this year. Campbell Tickell are delighted to have conducted customer insight work for Housing LIN’s Lightbulb Project, helping people stay safe and well in their homes! 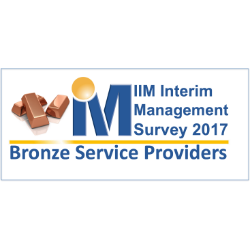 Campbell Tickell are proud to be the highest new entry on the Interim Providers’ Survey 2017, coming in at number 65 on the IIM’s Bronze Service Providers! Launch of PlaceShapers We Build report today! Today PlaceShapers launch their We Build report, based on research carried out by Campbell Tickell in Spring 2017 with 118 of PlaceShapers members. We Build is the second of PlaceShapers four themes and showcases its’ members development and regeneration track record as well as their capacity and ambition to deliver many more new homes in the years to come. We are deeply saddened by the Grenfell Tower fire and encourage our friends and colleagues to give what you can, or assist in kind. Campbell Tickell are proud to announce that we will be supporting Recycling Lives and Action Village India as our charity partners this year, with monthly donations to both. In common with so many others across the UK and around the world, we were shocked and saddened by last week’s attack in Manchester. The 20th February was the One Day Without Us national day of action, celebrating the contribution of migrants to the UK. Season’s Greetings and Happy New Year from all at Campbell Tickell! Instead of posting our Annual Seasonal Card, CT are donating to four charities this year. According to recent studies, just under a quarter of the largest 100 housing associations are led by women and only 13% of women currently work in the construction industry (Women in Housing, 2016). Campbell Tickell are delighted to welcome experienced interim recruitment specialist Gemma Prescot to our senior team. Campbell Tickell are proud to announce that we will be supporting Trust Women’s Project and Refugee Council as our charity partners this year, with monthly donations to both. Housing, charity and social care consultancy Campbell Tickell (CT) has announced that Radojka Miljevic, the practice’s governance lead, has been promoted to Partner. governance and regulation specialist Stephen Bull will join its senior consultancy team in February.